VAT Consequences For I.T. Companies In Ireland – Part III | TaxConnections is a where to find leading tax experts and tax resources worldwide. Suppliers of such services will need to determine where their customers are established or where they usually reside. They will need to account for VAT at the rate applicable in that Member State. This is a requirement regardless of the E.U. state in which the Supplier is established or is VAT registered. As a result of these changes, suppliers may need to register for VAT in every EU Member States in which they have customers. As there are no minimum thresholds for VAT registration, making supplies to a single customer in one Member State will necessitate VAT registration in that country. With effect from 1st January 2015, the Mini One Stop Shop (MOSS) will be introduced which means that instead of having to register in each E.U. member state, the supplier will have the option of declaring and paying the VAT due for all the member states in the E.U. state where the business is established via a single electronic declaration which can be filed with the tax authority in the state where the supplier is established. The MOSS scheme will be similar to the “Special Scheme” which is currently in place for non E.U. suppliers. 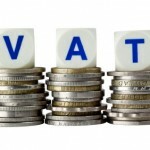 It will allow for VAT on Business to Consumer supplies made in all or any of the twenty eight E.U. Member States to be reported in one electronic return. Since founding Accounts Advice Centre in Dublin in 1996, Claire McNamara has established a reputation for successfully advising businesses, corporate and personal tax clients. Her knowledge spans various sectors and her experience includes corporate transactions, inheritance tax planning, International Tax Treaties, personal tax as well as advising on issues affecting non domiciled individuals and offshore clients. She constantly delivers a value added service and efficient tax management solutions to high net worth private clients, property owners, executives, entrepreneurs, entertainers and members of various professions. As a Chartered Tax Adviser, Claire has considerable experience in professional practice and will personally help you to deal with all your tax affairs competently, professionally and successfully. She has also lectured extensively in taxation on courses for the main professional accountancy qualifications including A.C.C.A., A.C.A. and C.P.A. and is actively involved in preparing students for the Irish Tax Institute’s CTA qualification. Claire has effectively handled a number of Revenue Audits and Appeals on behalf of her diverse client base and has successfully negotiated solutions resulting in substantial differences to the eventual tax liability, surcharge and penalties.